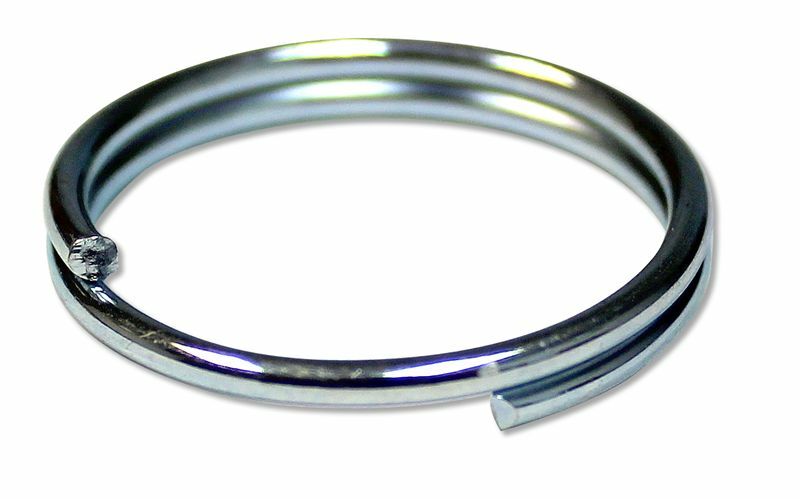 These basic rings are a low cost alternative to Split Key Rings and are often used as ring-grips in various applications, including pins such as Pull Ring Detent Pins. Available in either hard drawn MB Spring wire with an attractive zinc plated finish or corrosion resistant stainless steel. Also available from Pivot Point are other rings and cotters including Circle Cotters, Kickout Rings, Bow-Tie Locking Cotters, Rue-Ring Locking Cotters and Hair Pin Cotters. These basic rings are a low cost alternative to Split Key Rings and are often used as ring-grips in various applications, including pins such as Detent Ring Pins. Available in either hard drawn MB Spring wire with an attractive zinc plated finish or corrosion resistant stainless steel.